It had a distinctive fruitiness on the nose, described as "very diverse" by one, yet the flavours reported were in fact very uniform: fresh plums, apple and rowan jelly and green apples themselves. Adding a little bit of medicinal to the fruity action, we also got Cherry Tunes, as well as a little floral flurry in the form of Parma Violets. 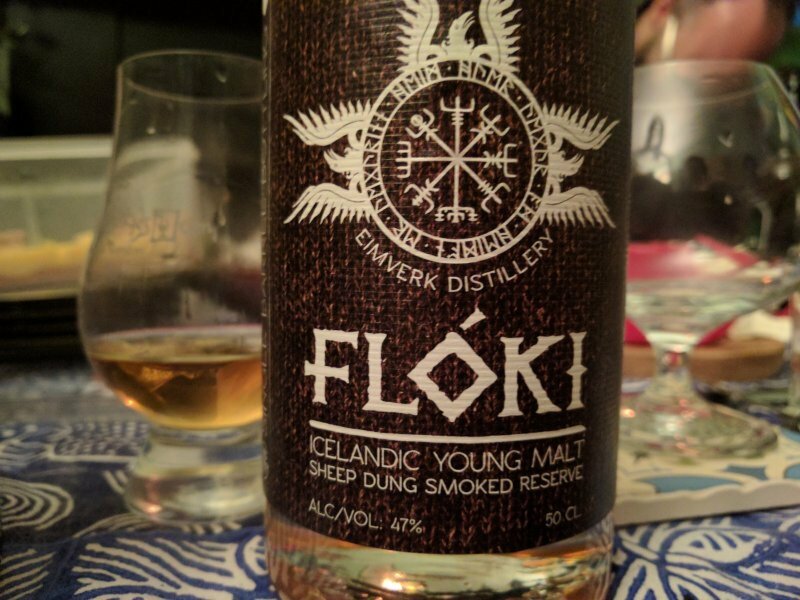 Perhaps in relation to its strength, it had a slightly watery vibe in terms of the smell - not quite a subtlety of flavour, but that water was one of the flavours. Things opened up more on the taste, but kept on theme in some respects: the fruitiness remained, now as (sour) apple sauce, blackberry, 'kind of orangey but not orange' and tamarind. 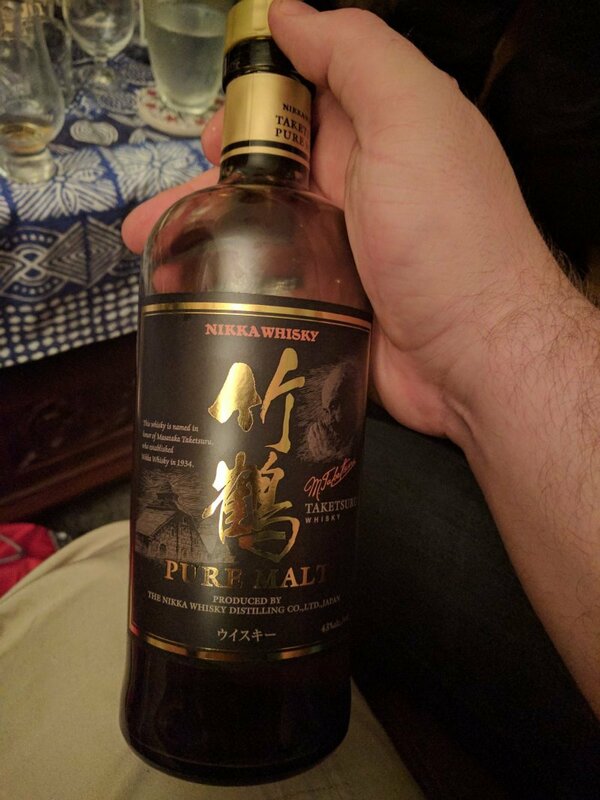 There was also a feeling that there was a lot of sherry slightly dominating the natural flavour of the spirit, with this sherryiness and fruitiness nicely summed up as "Ribena Yamazaki". A couple of contradictions then appeared: (powdered) acidity met by a daintiness, and spiciness met by a warming feeling (perhaps summarised as 'hot'?). We finally reach into the cupboard for mixed herbs, rosemary and turmeric, strangely joined by a long-lost bag of Cola Cubes. As things subsided, we were left with another dose of fruitiness, now manifesting as limes, cherryish and raisiny - strangely our convictions seem to be deserting us as we consume more alcohol, the opposite of normal. Talking of 'deserting', we also got bread and butter pudding, with dry spices: cardamom and cloves - a nice combo. 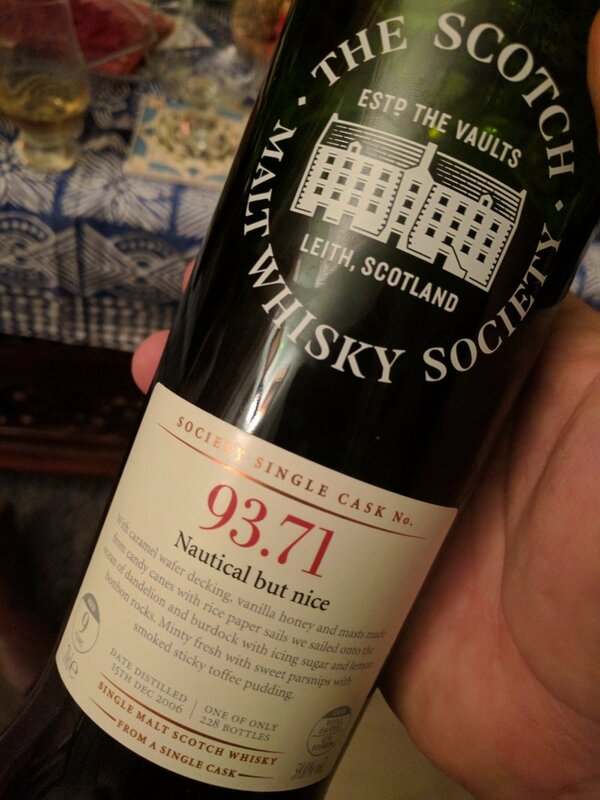 The club tasted this blind in terms of the cask used, and it was generally thought the taste was a little more cask than whisky. When revealed it was a (sherry?) 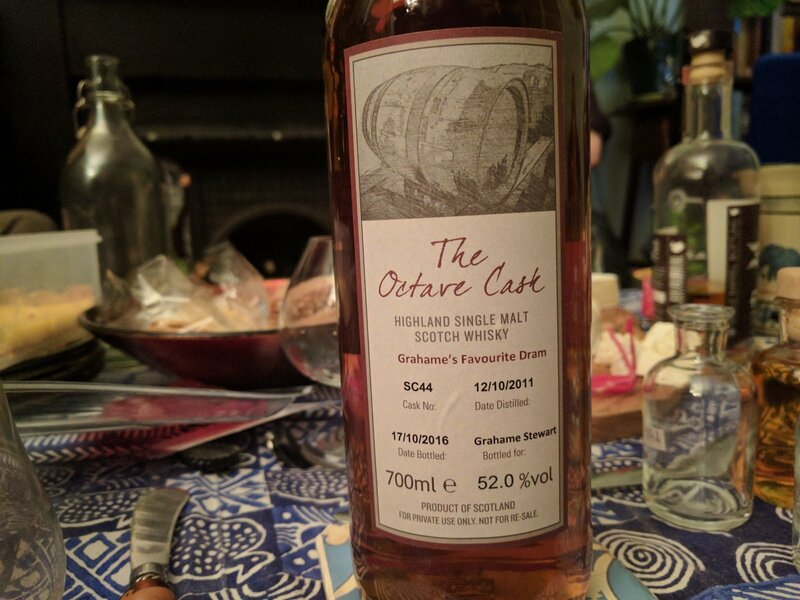 octave, it seemed to fit: young whisky that's picked up a nice fruity diversity in a short period of time with a lot of cask action. This bottle was gifted to the club by a family friend - many thanks to Grahame for this kind gesture!